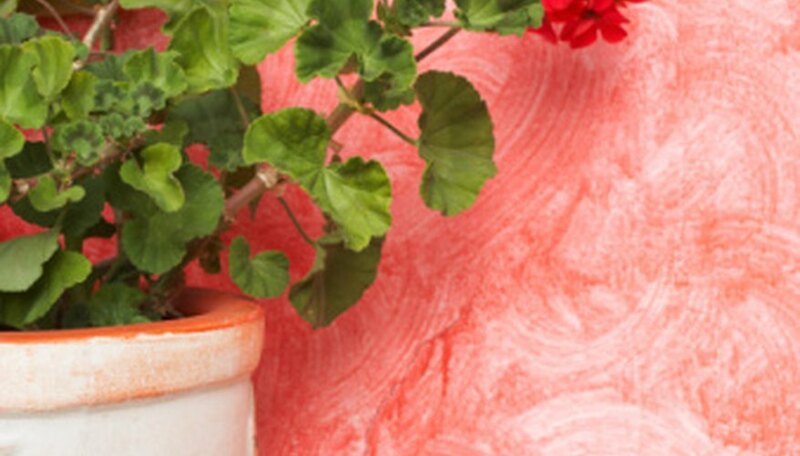 Geraniums have large, leafy foliage and tall flower stalks with red or pink blossoms. In the Southern United States, the flowers often last through the fall. Although some geraniums are grown from cuttings, other varieties grow well from seed, including the cultivars 'Bandit,' 'Ringo,' 'Orbit,' 'Elite,' 'Multibloom,' 'Pinto' and 'Lone Ranger,' according to the University of Rhode Island Landscape Horticulture Program website. Wait until late summer or fall, depending on your region, when the flowers start to wilt. Do not cut off the flower stalks. Watch for the formation of seed pods instead. Wait until the seed pods turn slightly yellow, which indicates the seeds are beginning to ripen. Cut off the seed pods using hand pruners. If you are working outdoors, do this preferably on a sunny day after the morning dew has evaporated. Place the seed pods in a paper bag and fold the top of the bag over once or twice. Set the bag in a warm, dry location indoors and keep it there for two to three days to complete the drying process. When the pods are dry, they will begin to split open. Shake the bag vigorously for 20 to 30 seconds to split the pods open even further and release the seeds. Unfold the top of the bag and pick out the seed pods. Discard the seed pods. Pour the small black seeds that fell out of the pods into an envelope. Write the name of the geranium variety on the envelope with a pen and the date that you collected the seeds.